Client takes care of the proper make-up and clothes for the photo session. Photographer can offer other MTD designs for the photo shoot if it fits the image and concept :). 1) Copyright for images belongs to the photographer. 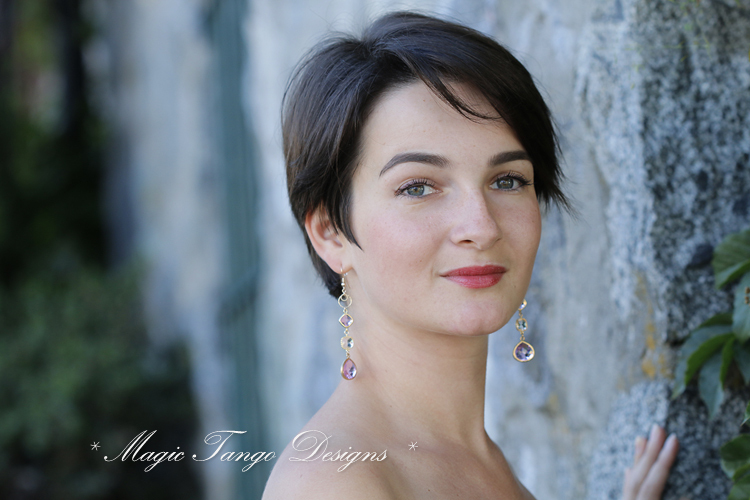 Photographer has the right to use any of the pictures of the client for portfolio and MagicTangoDesign phomotion (the client will approve a certain amount of pictures for the possible use at this website, social media, ETSY and other platforms, slide shows, blogs). Only selected pictures of some clients can be published in social media and on the website. Not all sessions are used for promotional purposes, however at least 1 of your pictures will get into the "Red Carpet" gallery on the MTD fb page and in the Gallery on this website :). 2) Client has the right to use the 5 best images (+ any other purchased images) for promoting his image whether it is for non-commercial work or personal use. However pictures have to be kept "as is" and CAN'T be altered in any way (no cropping, color correction unless approved by the photographer. All changes have to be requested from the photographer if needed). 3)* Any official publications in the press / media except for mentioned above media, initiated from any of the sides, have to be discussed separately whether it is for the Photographer's work or for the Client. 4) We can create additional images if something extra is needed for the client and fits the lighting conditions and occasion. It can be discussed separately.